Creative 5-year old girls are looking for challenging toys to hold their interest. Finding things to keep her growing mind occupied can be a challenge. She is becoming more independent and imaginative in play. 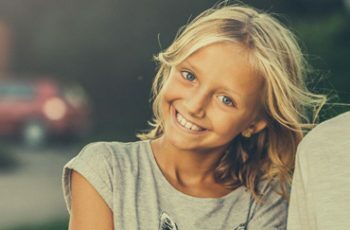 This age is a fun and exciting time for your daughter and you. This quick list of toys for 5-year-old girls will challenge her imagination and creativity. The items on this list develop fine motor control, problem-solving skills, gross motor strength and control, complex language, and direction following skills. Toys that help her understand how her world works will hold her interest for longer periods of time. Discovery is an important part of learning and growing. These toys will help her discover what interests and excites her. Brain Flakes are great for your budding architect or engineer. 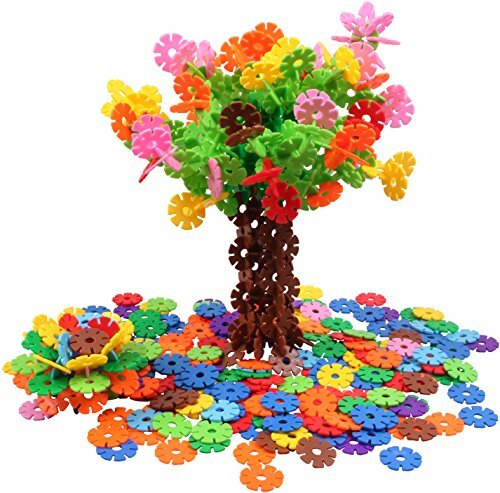 Instead of being traditional building blocks, Brain Flakes are interlocking plastic discs. An idea booklet comes with the set of 500 discs. The booklet teaches your daughter to start reading and following directions. Once your daughter starts building her imagination is the limit. Children as young as three have been successful building with Brain Flakes. Brain Flakes will also help develop her fine motor control. 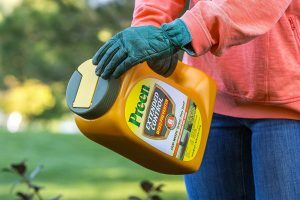 They are BPA, heavy metal, phthalate, and lead-free. For girls who like art and technology, the Osmo Creative Set with Monster Game brings drawings to life. Osmo comes in a kit or just the game. If you do not have the iPad base you will want to choose the game plus the base. This set includes a Creative board, dry erase markers, and a fuzzy erase cloth. 4-12-year-old children enjoy playing with this set. It has three games. The featured character is Monster. Monster can speak English and Spanish. 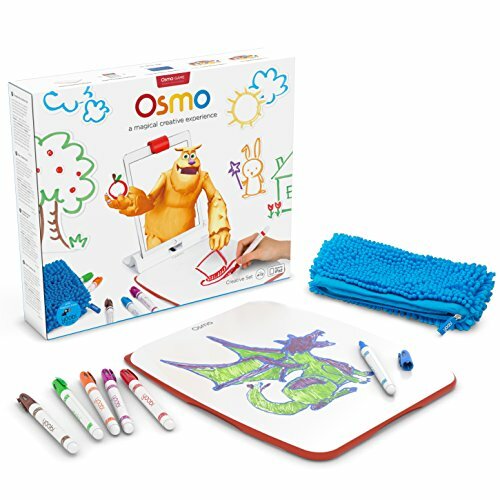 If you enjoyed Creative Monster Game, Osmo has other games and kits available as well. PLAYMOBIL allows your daughter to build her own zoo. This set is great for imaginative play. Animal lovers will enjoy taking care of all the animals in the zoo. PLAYMOBIL includes animal figures with this set. Some of the pieces are tiny and not suitable for younger children. This PLAYMOBIL set is easy to put together. 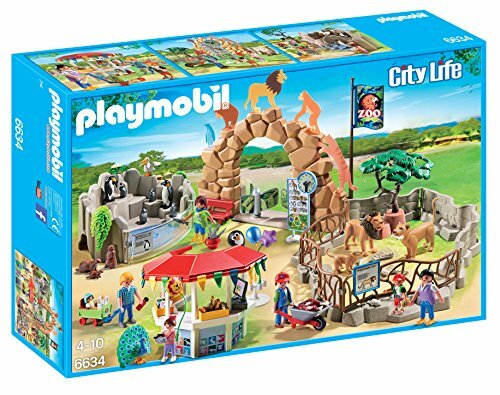 PLAYMOBIL offers different sets such as a Wild Animal Enclosure and Tiger Family for animal loving girls. PLAYMOBIL is an award-winning toy company with an excellent reputation. The PLAYMOBIL brand has been creating toys for children since 1974. If you love the zoo theme there are about 30 different themes available for you and your child to build. 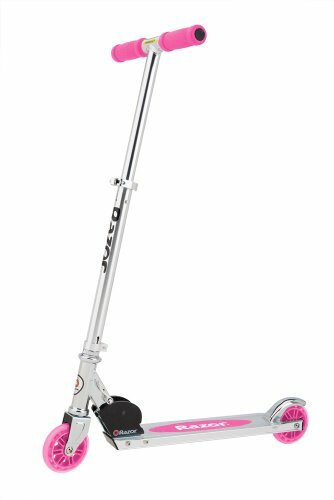 The Razor A Kick Scooter is great for the girl who wants to get out and show how independent she is. The Razor has hand brakes. This scooter folds easily. It is lightweight and easy to pack in the vehicle. The Razor frame is aluminum and the wheels are urethane. Adjustable handlebars make it easy to fit your daughter’s size. 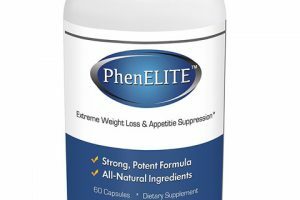 The maximum weight capacity is 143 pounds. She will be able to use this scooter for a long time. A helmet is not included with this scooter. 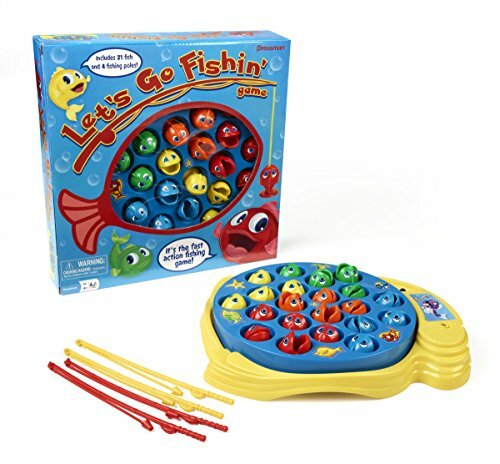 Let’s Go Fishin’ is a classic game all kids want. You can play by yourself or with up to four friends. The pond spins while the fishes’ mouths open and close as they pop up out of the pond. The goal is to catch as many fish with your magnetic rod as you can while the pond spins. Players hold the magnetic fishing pole and try to snag as many fish as they can. This game helps develop hand-eye coordination. It also develops one-one correspondence while counting. Let’s Go Fishin’ requires one C battery. 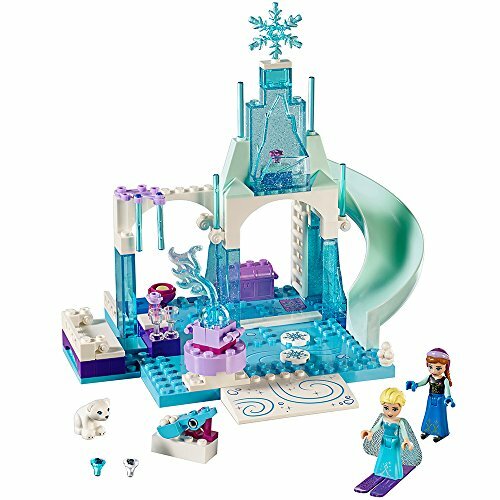 LEGO gives girls the opportunity to build a frozen playground for Anna & Elsa! Your daughter will love building the two-level playground for the included Anna & Elsa dolls. To make it extra fun, LEGO includes a snowball catapult, slide, and a rotating fountain for your daughter to build. LEGO Juniors bricks are compatible with all other LEGO Juniors bricks. You can combine multiple sets to make the playground bigger. This playground contains 94 pieces. It is a little over 7 inches tall. Some of the pieces are small and more difficult to assemble. This makes it a great cooperative play activity. Building her Frozen Playground is an excellent way to practice fine motor control and direction following. The 16-inch Titan Girl’s Flower BMX Bike will get your girl-on-the-go where she wants to be. This bike has a doll seat, a basket, and streamers! Your daughter can take her favorite dolls and toys for a ride with her. A durable steel frame makes this bike sturdy, but it has a lot of girly features. Training wheel brackets are included with this pink BMX Bike. An adjustable seat makes it easy to fit the bike to your daughter’s size. Handlebar grips and pads come with the Flower BMX bike. This BMX bike has 16-inch purple wheels. Your daughter will build confidence learning how to ride with and without training wheels. 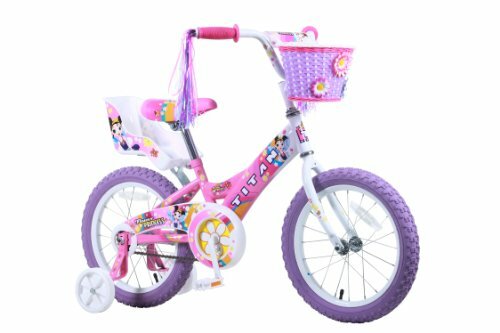 It is a great first bike for your growing girl. A helmet is not included with the BMX bike. Roller Derby Girls’ Firestar Roller Skates get your daughter into the rink and moving right away. They are lace-up with a padded collar and Velcro strap. This design keeps your daughter’s feet secure in the skate. They have a front brake and 54 mm urethane wheels. 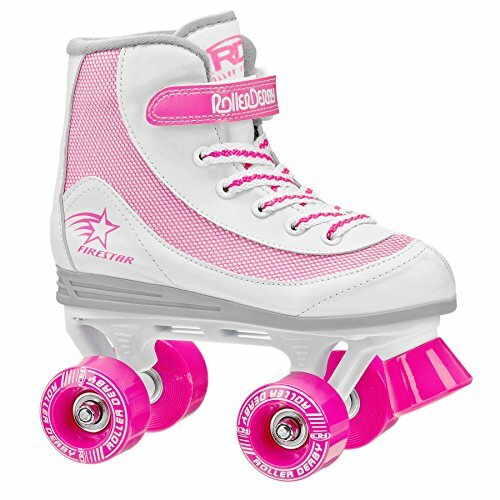 The wheels provide a smooth and enjoyable experience for young skaters. This is the perfect skate for first-time skaters. They are sized according to shoe size. Knee-pads, elbow pads, and a helmet are not included with these skates. 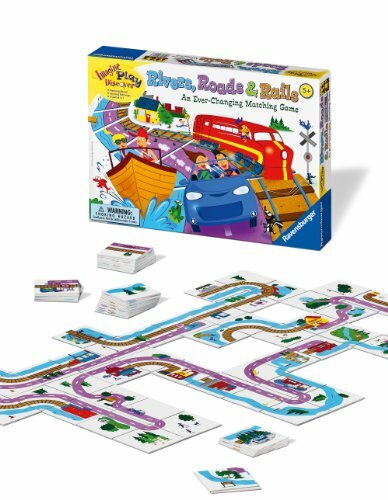 Ravensburger Rivers, Roads, and Rails – Children’s Game is for kids ages 5 years and older. This classic game is a Parent’s Choice Award game. Your daughter will spend time planning out and building a continuous network of roads, rivers, and railways. Rivers, Roads, and Rails help her practice problem solving and strategizing while she decides how to place her pieces. She will create a new landscape every time she plays. The possibilities are new every time you play this game. It is a matching game taken to the next level for your 5-year old daughter. The Lifelike Newborn Silicone Baby girl is 17 inches long. 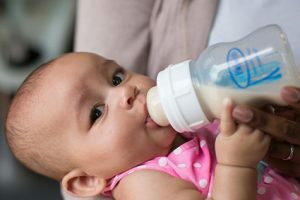 Many little girls love playing with babies and being the mom. This imaginative play helps little girls build compassion and empathy for others. The Newborn Silicone Baby girl doll will take her imaginative play to the next level. 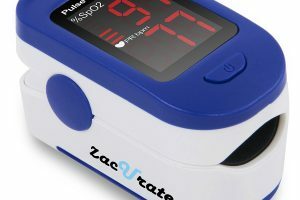 Its lifelike features make the experience authentic. This lifelike doll comes with a magnet dummy, a bottle, and a blank birth certificate. The arms and head are silicone. The body is soft cotton. This newborn baby doll is the same size as an actual newborn baby. The Newborn Baby Doll brings playing dolls to life. Looking for Gifts & Toys For Other Ages Of Children? 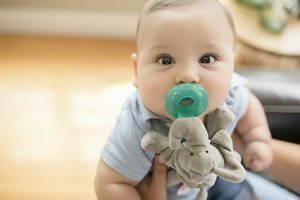 Do you have more than child to buy for who is at a different age? 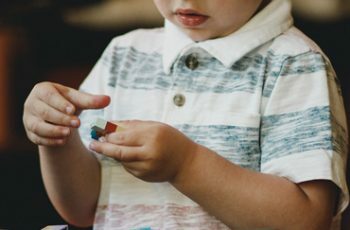 If that’s the case then you might want to check out our other guides of carefully curated and considered lists of gadgets, games, puzzles and toys that cater for all different ages and development stages of kids. 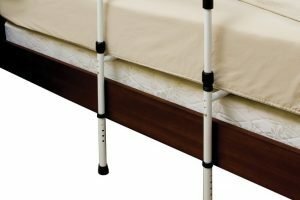 You’ll find that the guides below have toys that have been specifically designed and developed to match your child’s physical, emotional and cognitive abilities. 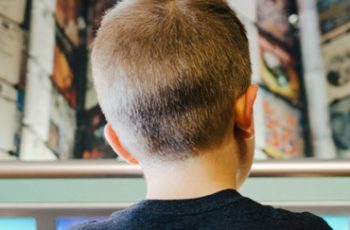 I hope these guides provide you with all the inspiration you need to get your child gift idea spot on! 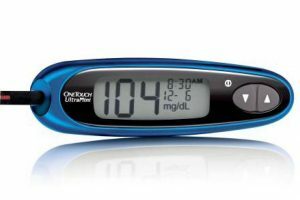 Other toy related buying guides you may want to check out….